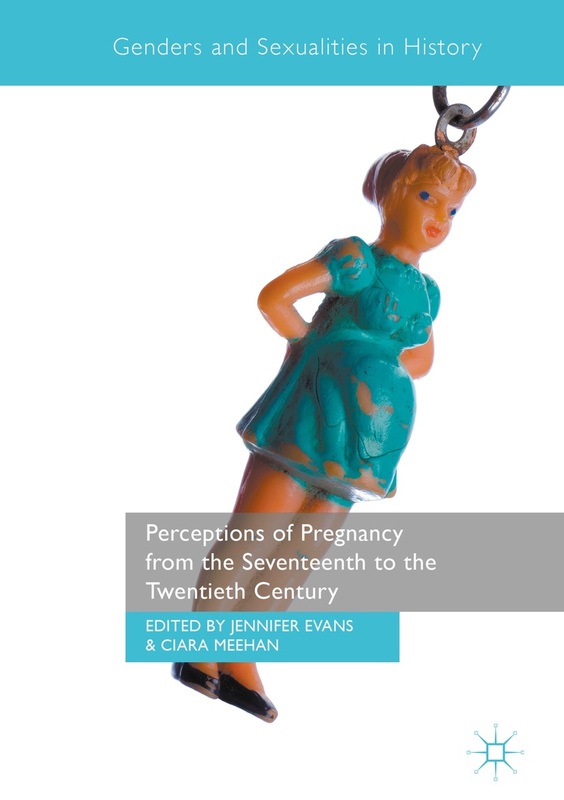 The Perceptions of Pregnancy blog, like the Researchers’ Network, aims to reach beyond boundaries and borders, and to facilitate an international and interdisciplinary conversation on pregnancy and its associated bodily and emotional experiences from the earliest times to the present day. This week Amy Kenny explores why superfetation was removed from The Comedy of Errors. In the source material for The Comedy of Errors, Alcmena becomes pregnant with twins fathered by two different male suitors, a medical condition known as superfetation. Those familiar with The Comedy of Errors will recall no such plot twist in Shakespeare’s play. So what accounts for the change in dramatizing gestation? What can this switch suggest to us about the play’s portrayal of pregnancy and twins? Throughout the early modern period, multiple births were often considered suspicious because they played on the cultural anxiety surrounding gratuitous female sexuality. If a woman could commit adultery even while pregnant, fathers feared the paternity of their heirs. The womb itself was to blame. These medical practitioners cast the womb as a type of magnet that constantly allured male seed. Part of the basis of this ideology blames the woman for her excessive sexual appetite, linking the grotesque female body with superfetation. Not only was the womb always thirsty for male seed, it remained porous despite pregnancy, as Helkiah Crooke explains: “the orifice therefore of the womb is always open and so hapneth superfetation the more easily.” Superfetation offered a medical context for the permeable, leaky, ravenous womb that was defined by excess. While the anxiety about superfetation cast twins as monstrous because of extreme female sexuality, Shakespeare’s play shows a more positive view of twins by removing suspicion of the mother’s fidelity, instead affirming the magical power of womb to procreate multiple births. The Comedy of Errors eliminates superfetation, instead emphasizing the less monstrous connotation of twins, and offering a more contained discourse of female sexuality. A sure indicator of superfetation was the lack of resemblance between twins, because they had different fathers. According to early modern medicine, “twins are commonly so like one another […because they are] conceived at one and the same coition.” Crooke credits sucking the same blood and spirits in the womb for twins’ similarity in appearance. Twins born via superfetation did not resemble each other to the same degree, because they were conceived at different times via different fathers. In fact, the size and “motion of the infant” was taken as a sign of superfetation since the second child was “conceived long after the first.” Much of the humor in The Comedy of Errors derives from the identity confusion over the two sets of twins: Dromio of Ephesus and Syracuse and Antipholus of Ephesus and Syracuse. Without similar facial features and builds to undergird the identity confusion, this plot device would crumble. When the twins are finally reunited in the closing scene, their interchangeability is emphasized for the audience. Adriana remarks, “I see two husbands, or mine eyes deceive me” (5.1.332). The Duke claims, “One of these men is genius to the other” and asks which is the apparition (5.1.333). Later he repeats this refrain: “These two Antipholuses, these two so like, and these two Dromios, one in semblance” and admits “I know not which is which” (5.1.348-9, 65). Even Dromio of Ephesus comments, “Methinks you are my glass, and not my brother” (5.1.418). It is clear that the twins are meant to function as substitutable in this scene and throughout the remainder of the play. Repeatedly commenting on how they duplicate one another highlights that they were conceived as part of one conception, not via superfetation. Unlike its source, The Comedy of Errors eliminates any suspicion about maternal fidelity by removing superfetation. In addition to Plautus’ Menaechmi, Amphitruo is a source. See The Comedy of Errors, ed Charles Whitworth (Oxford: Oxford University Press, 2002), 25. Nicholas Culpeper, Directory for Midwives (London: Peter Cole, 1662), 144. Jane Sharp, The Midwives Book (London: for Simon Miller, 1671), 73. Helkiah Crooke, Microcosmographia (London: W. Jaggard,1616), 314. Daniel Sennert, Nicholas Culpeper, and Abdiah Cole, Practical Physick: The Fourth Book (London: Peter Cole, 1664), 144. Helkiah Crook, Microcosmographia (London: W. Jaggard, 1616), 315. Daniel Sennert, Practical Physick, 144. This entry was posted in Blog Posts, Latest Post, Uncategorized and tagged Comedy of Errors, pregnancy, Seventeenth century, Superfetation, Twins, Women's History. Bookmark the permalink.